Memories Of Jaws By The Fans. 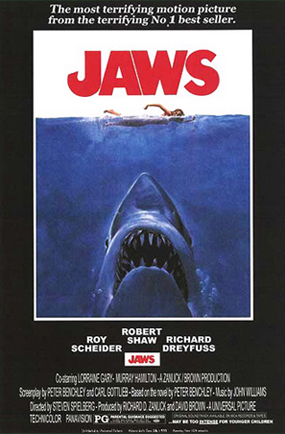 To celebrate Steven Spielberg's Jaws turning 40 we ask fans of the movie what their memories are of the classic shark movie that hit cinema screens across America on June 20th 1975. Whenever someone asks me that dreaded question, "what is your favourite movie?" I always have to explain that it's like asking what your favourite food is. It really depends on your mood at the time. Saying that, there are always three movies that come to mind. Close Encounters of the Third Kind, Raiders of the Lost Ark and of course Jaws. For me Jaws is an example of a perfect movie. It never ages it just gets finer as the years wave by. Jaws is another example (this time a rarer one) of a movie being better than the book. The characters in the movie are more likable than in the book (as in, you don't want everyone to be eaten by the shark.) 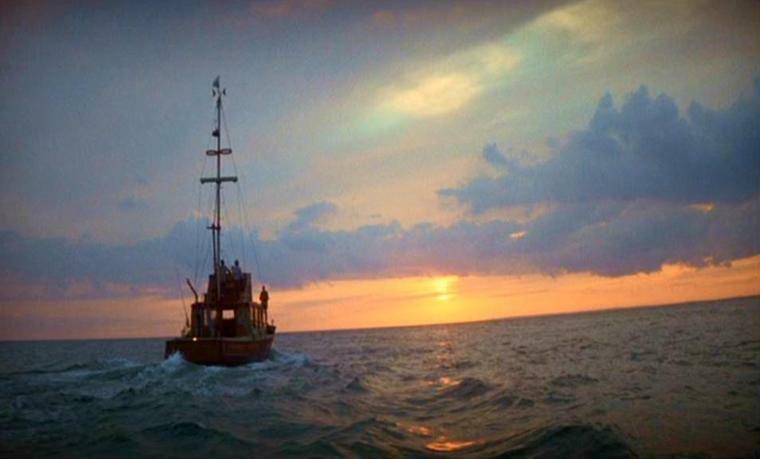 Amity Island looked beautiful and a place that I always wanted to live as a kid. It never gets old both in looks and repeat viewing. If Jaws is on the TV then it normally stays on. Can't mention Jaws without mentioning the engine of the movie, the soundtrack. John Williams once again delivers his magic and blows it out of the water. His signature piece has become a legend in movie soundtracks. His clever use of only using the signature music when the shark is present is a masterpiece and another reason why I've become a huge fan of the soundtrack wizard. I'm so glad that Bruce didn't work properly during the shooting of the movie. I know it caused so much stress for Spielberg but we would have had a hugely different movie. Not seeing the shark for most of the movie just made my imagination fill in the gaps and that made the movie even more effective as a horror film. Jaws has been with me since 1975 and it will never leave my side, even with three barrels. I can't imagine a world without the movie JAWS in it. Forty years ago when I first saw it when I was 9 years old, it has been a major part of my life. To this day I still think that it's a movie that has everything a movie should have in it. Great directing and acting. It has a great screenplay. It's a suspense, drama, dark comedy, love story movie. It has great art direction and locations. The cinematography is amazing and how about that film score from John Williams? The next day after I saw it, I started searching for JAWS magazines, toys... anything that had that famous Roger Kastel artwork on it. As soon as I got Carl Gottlieb's paperback book THE JAWS LOG, I would carefully open it up and make sure not to crease the spine, every time I would read and look at the photos. Looking back, it was very strange that I would do that at such a young age. As my JAWS collection grew bigger and bigger, I took care of all of my JAWS items that way for years. I couldn't believe that there wasn't a JAWS coffee table book out. I'd see other films have one, even "Animal House" had one at one point. But not JAWS. So I decided to do something about that. Thanks to writer Matt Taylor, we put out not only a coffee table book, but a type of Making-Of-A-Movie-Book that was never seen before. When the internet finally happened, my JAWS world expanded. Meeting others from around the world who had the same love of the movie as I did. Meeting local fans and being close friends with many of them throughout the years. The movie gave me all of that. So again, I can't imagine a world without the movie JAWS in it. 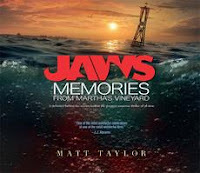 - Jim Beller: JAWScollector.com, co-creator of the book "JAWS: Memories From Martha's Vineyard"
"My memories of seeing Jaws was on DVD in the year 2000. It was the first time I saw the film and I enjoyed it a lot and when it came on on Blu-Ray Disc I enjoyed the film even more. One of the best Spielberg films of all-time and John Williams Music scary and enjoyable too"
"VHS -1985. One off cinema screening 1995 at Birmingham Odeon (New Street) and again a few years ago for the remastered theatrical release. It was as timeless then in full screen or missing frames/cuts as it is today in Surround Sound and on Blu-Ray." "One of my favourite movies of all time. It had such a profound impact on anyone who watched it. I love how suspenseful John Williams score is and Steven Spielberg had us terrified before we even saw the shark!" I can remember being about 10 years old watching Jaws at a friends house. Ben gardeners head in the boat terrified me and the sharks sudden cage attack on Hooper made me jump out of my skin! "Hooper and Quint, the on screen clash of characters is fantastic. ALL took our chances. - - I guess their main concern was me, 'cause as soon as JAWS bit off dude's foot and we're all watcin' a disembodied bloody white ''Vans'' type of shoe plummet to the ocean floor (my Mom tells this story 'til this day), they're expecting a different reaction than me blurting-out while it's falling: ''Hey! He was wearin' the same kinda shoes just like the one's that Daddy wears!!!'' and they all laughed at me, but, THAT pretty much told how the rest of the movie was gonna go for my (supposed to be scared?) 6 year old self! . . . . . . ALSO: They'd bought us matching movie poster T-shirts to wear to school that year (1976 I was in 1st grade) Got told by the teacher or principal to NEVER wear my ''T-shirt with the naked lady swimming on it'' to school again, but, it was okay for ''show and tell'' that day 'cause I was dressed to show-off my brand-new (licensed!) JAWS toy, which, was not so much an ''action figure'' as it was more like an eight inch hard rubber shark sculpture with a JAWS LOGO (on its ''Minnie Pearl'' tag and embossed on its ''soft white underbelly'') that OTHER action figures and stuff would FIT into ''his'' opened sharp toothed mouth and hollow body! ~Good memories!~"
Jaws on DVD. I bought it and insisted on watching it with my then girlfriend instead of going out to do something. She ditched her friends to sit and watch it with me, and as the movie unfolded I came to the realization that any girl who would ditch her friends to watch Jaws with you was a keeper. Right in the middle of the USS Indianapolis speech I paused the disc, asked her if she thought like getting married, and the answer was yes. 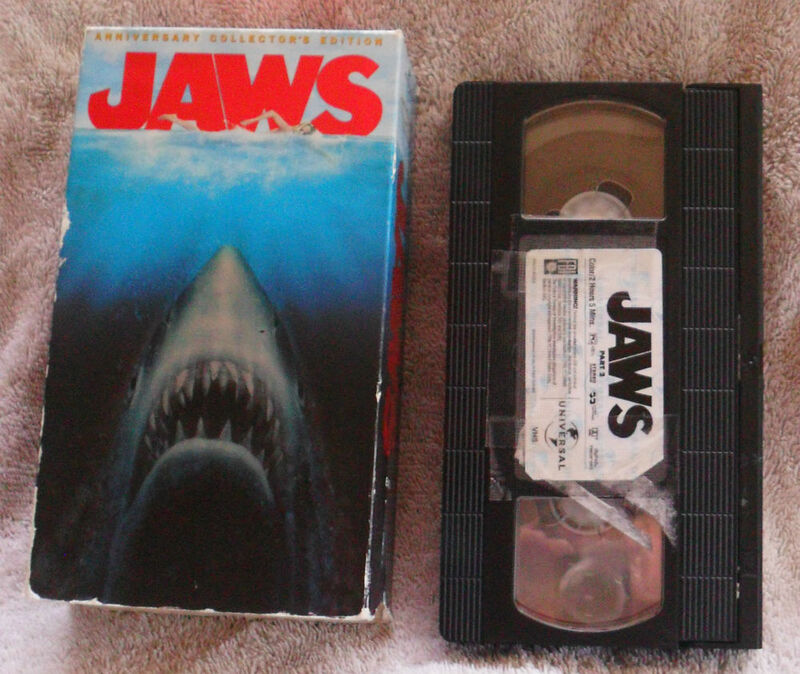 Jaws has always held a special place in my heart and that first DVD copy I own is particularly special to me. As a film professor, anytime I meet someone, it’s almost certain that I will get asked, “What’s your favorite movie?” Like most of us, I have a whole list of “favorites” depending on my mood, genre, etc. but fortunately I do have a single, genuine, “go-to” answer for that question – Jaws. This answer seems to surprise a lot of people for some reason. I’m not sure if they’re expecting me to answer something like Citizen Kane (also on my list! ), but for me, Jaws is my favorite movie for both personal and professional reasons. spending two hours enthralled in the story of Brody and company’s quest to hunt and kill a “large predator who supposedly injured some bathers,” by the time I got home that evening, I refused to go near water, get in the bathtub or even sit on the toilet. I didn’t want to go to my cousin’s pool the next day, and the planned family trip to Myrtle Beach was now in jeopardy! Of course, despite knowing it was “just a movie,” I learned on that day that the sheer power of storytelling could alter how I behaved in real life. If you’ll pardon the pun, I was hooked! I knew right then, that’s what I wanted to do with my life – tell stories. 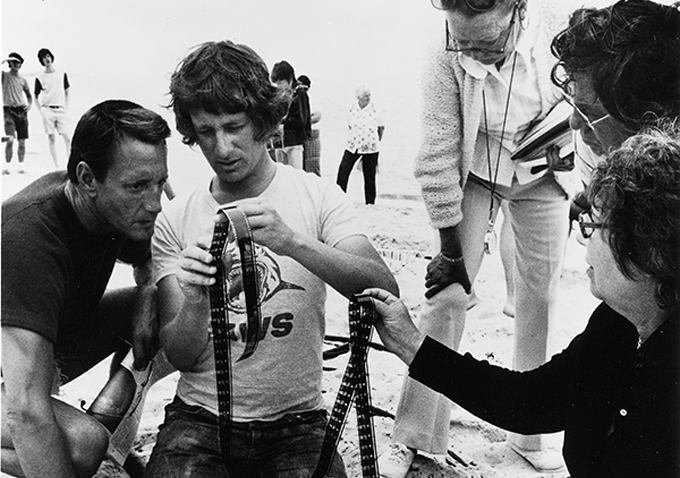 In short, seeing Jaws as a boy literally changed my life, as it was directly responsible for my eventual career in the entertainment industry working in film and television, and even my second career as a film scholar. Over the years, I’ve discovered I am not alone in my love of Jaws, and have made friends worldwide because of it. Even today Jaws is integral in my daily life as I teach a class on Steven Spielberg, and I am currently working on completing a PhD dissertation on Mr. Spielberg, with heavy emphasis on – you guessed it – Jaws! So as we celebrate the 40th Anniversary of this remarkably timeless cinematic achievement, I want to publicly thank Mr. Spielberg and the entire cast and crew for creating something that has impacted not only the world, but also changed the life of a wide-eyed eight year old Midwestern boy from Akron, OH. Thank you! My memory of Jaws was to see it behind my mother's back. Same story for Poltergeist. She would have forbidden me to see that movie and I went to see it with the housekeeper! I was 12! This wildly irrational fear serves as a prime example of how effective Jaws was as a horror movie. Depending on how you look at it, the most potent kind of fear is one that is rooted in brazen, almost hallucinatory irrationality, which in turn gives nightmarish shapes to wildly disjointed and paranoid suspicions of what might be lurking in the shadows or just under the surface of the water. A good horror film makes you jump or gives you a slight case of the shivers, but a great horror film sticks with you and has you deeply fearing the most improbable scenarios during the most mundane situations. The scene that stands out to me the most when Brody, Hooper and Quint are having a few drinks and sharing the stories of their scars and it leads to Quint talking about the USS Indianapolis. The story is fascinating and horrifying at the same time, after that story your even more afraid of Jaws, something I thought impossible before hearing the story. Seeing it the first time was one of those landmark moments in my life where I was changed forever. I grew up in Southeastern New England, and my mother insisted on dragging me and my brother to the beach just about every day during the summer. Because Jaws scared off so many swimmers, 1975 was memorable for uncrowded waters. Jaws is a great movie on so many levels. The cast, editing, music, etc. But I remember it best for Robert Shaw's performance as Quint, and the scene with him talking about the USS Indianapolis. His monologue is riveting, and adds heaps of emotional and psychological weight to the story. Without that scene, we're just watching three guys in a boat, hunting a shark. Back in 1975 it was normal that films often premiered in my country (Holland) months after they had premiered in the States. This was the case with Jaws as well. Although the film started it’s successful run in America in June, we had to wait for 6 months minus 2 days before we got a chance to see the film that all of America seemed to talk about, and since there was no internet, DVD’s hadn’t been invented yet and videotapes were only used in the TV-studios, not in consumers homes, we really had to wait, there was nothing we could do to change that. The only information that I could get was from magazines, newspapers and (sparingly) from programs on TV. But then 18 December arrived and I could finally see what all the noise was about. And even though Jaws had been given a rating for 16 years and older, I decided to risk being sent home (after all I was only 13 years old at that time) from the cinema, while trying to get a ticket for the first evening performance. I got the ticket and I got in. The lights went down and I forgot everything around me. From the first images on, I was hooked. The thing I remember most from that first screening was the appearance of “the (Ben Gardner) head, with one eye”, in my imagination that sequence lasted at least 30 seconds, that much of an impact it had on me. the film another 5 times, before I ran out of pocket-money. But on none of these 5 showings have I dared to look at “the head sequence” again, each time I moved my head (just enough) to the left or right, to watch everyone in the auditorium jump back in their seats, so I could figure out when it would be safe for me to look at the screen again. Years later, when I had bought my first VCR and I went to Amsterdam to some sort of flee market. There I discovered a (pirated) videotape of Jaws, and that evening, for the first time since December 18, 1975, I dared watch the film in it’s entirety. I still have the tape, even though the VCR on which it could be played (PHILIPS VCC, long before VHS entered the market) doesn’t exist anymore, but to me it carries more memories than just the film that is (was) on it. After that I bought (and still have) the film on almost every medium I could lay my hands on: Betamax, VHS, Laserdisc, DVD and of course Blu-ray, and even though the quality on each of them is great and on some even greater, they are no match for that first sighting, in that dark, crowded cinema in Nijmegen, back in 1975. Seems like only yesterday, I was that 7 year old kid, that watched JAWS for the 1st time. Sadly, for me, I didn't get to see it in the theater; I wasn't hatched yet. Still in the after years, of the summer blockbuster, I grew up hearing about that movie. Mainly through my old brother, he was trying to scare me, but being from southern New England (Rhode Island), it seemed every summer people we're talking about this movie. Going to the beach around these parts was pretty scary, during these times. Finally when I was around 7 (1982 if you wish to know), I saw what everyone was talking about and from the moment the young girl gets eaten, I was terrified yet, intrigued. I was scared like everyone else, however, I was curious and became fascinated by these creatures. I'm still scared to death of them, but they are amazing animals. I like sharks so much that my favorite NHL team is the San Jose Sharks. I guess you could say JAWS may be turning 40 this year (I'm almost there my self), but it still leaves an impression. 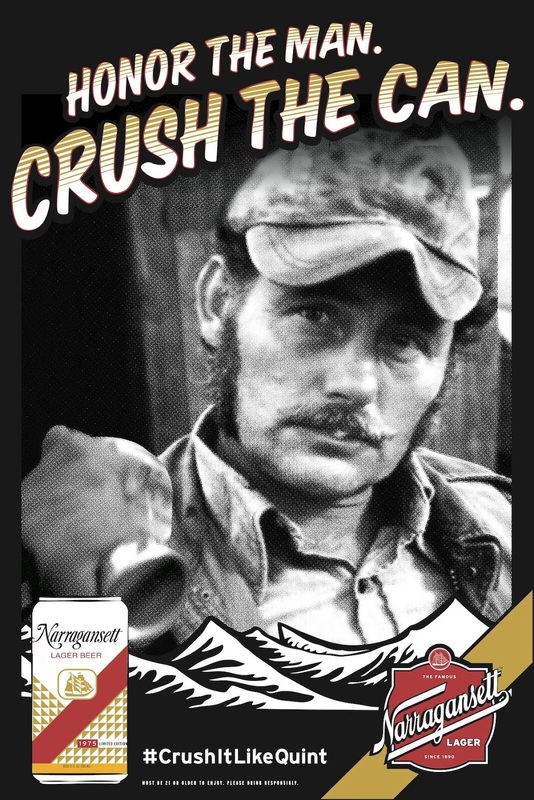 Oh as a side note, every time I see Quint crush a can of Narragansett beer I smile. The company that now owns the recipe and brews the Narragansett beer, has a tribute to Quint every year. The hash tag is #crushitlikequint and I certainly plan on it this weekend. Happy birthday JAWS. Foreshore and forty years ago ... JAWS terrorized a fictional New England summer resort town and changed the movie-going crowd in more ways than one. Not just a 'Blockbuster,' but an epically iconic film and is noted as a 'watershed' classic in motion picture history. No pun intended. In the summer of 1975, this movie made its mark and has continued to terrifyingly entertain ... up to this very day. wagon. Honestly, all I remember was crying into my sleeping bag and screaming how I was never going to swim again. Mind you, I said this repeatedly throughout the duration of the movie. And yes, 'til this very day, if I cannot see the bottom to any body of water, I'm NOT going in. Even more, if JAWS is on TV, I still struggle to see it through to its entirety. With that said, my husband took me to Universal Studios in Orlando for our honeymoon and yes, he put me on the JAWS ride ... the result of this, well, wasn't so good. There's a point in the ride, where the boat stows away in a shed and takes cover from the preying shark. It's quiet and dark, very intimating too. As my anxiety rises the shark emerges from beneath the waters and rocks the side of the boat! Yes, I scream and flail into a real panic attack. Granted I know it's fake, but my heart leapt into my throat and I lost it. Yep, I cried like a baby and my husband didn't know whether to laugh at me or hug me, so he simply addressed the other guests with, "it's ok, she's part of the cast crew." Everyone laughed and yes, I did too. 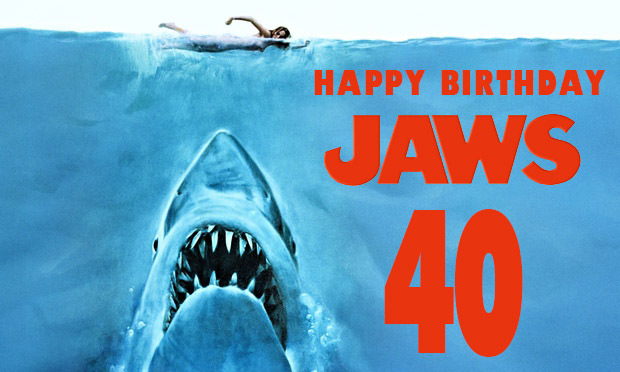 Happy 40th JAWS! You haven't changed a bit, you still scare me to the death and to the ends, of that watery, murky abyss. When I saw "Jaws" as a little kid, I thought it would be an epic ocean adventure. Instead the movie terrified me so much that I refused to take bubble baths for a year. My reasoning was that sharks couldn't sneak up on me in the shower. I also avoided my friends' waterbeds. As a kid "Jaws" made me think there was a shark hiding in every waterbed, swimming pool, lake and bath tub. That just shows how great "Jaws" really is. Even today the movie stands up as one of the best horror films ever made. I'll always be a little warped by it, but that's fine. Just don't make me sleep on a waterbed. Author of "Girls Against Girls"
The thing I remember of seeing in Jaws is not seeing the shark. I think that was the key, not showing is telling the story, and that is the whole Texas Chainsaw Massacre principle of film making which some people might find quite interesting, and more artful. I also remember Roy Scheider more for this film than any other too, maybe even more than Blue Thunder eh?